Sleep is so hard to come by. I have always struggled to shut down my mind and get a full and restful nights sleep. And I am not alone. There are countless others like me, and I know because every second woman I know struggles to sleep. So we develop routines and rituals and try out new ways to get to sleep. Sometimes in desperation we visit the doctor and get a small stash of those blue pills. But when I use sleeping pills I wake up in a fog with a bitter taste in my mouth and take hours to truly wake up. Then there’s trying to wean yourself off them…. The other option is alcohol. I know this very well because during a really dark patch in my life with both my parents terminally ill, I used alcohol a lot to get to sleep. I knew those days when I would need help to get to sleep and honestly it was easier to have a drink or three, than take another blue sleeping pill. But long term that’s no answer either. I want to live long and well and that means a healthy liver. Plus I like to wake up feeling ready to go, not slightly groggy from a drink just before bed. Firstly your best friend with sleep is magnesium. Magnesium is vital for the function of GABA receptors, which exist across all areas of the brain and nervous system. GABA is a calming neurotransmitter that the brain requires to switch off; without it, we remain tense, our thoughts race and we lie in bed staring at the ceiling. I use a couple of different types of magnesium- I seem to need a lot of it. Can you overdose on magnesium? If you do you get the “runs”. Back off the dose in this case. 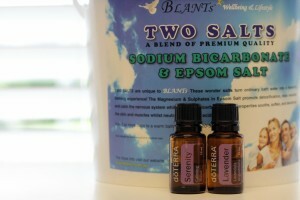 I start with a bath using Epsom Salts and a Bicarb of soda. I bath for at least 20 minutes as if I am having a bath I may as well detox at the same time. I love oils in the bath to help calm down and use doTerra Lavender the most, and sometimes doTerra Serenity (Calming blend). This is an amazing bath for the kids as well- helps them to process the day and start to calm down for bed. We use this kind. I take magnesium in a bio-available form an hour before bed. I love this kind. I take it in a glass of water with all my supplements and it’s tasty. From other symptoms (If you get cramps regularly, find that fluids pass through you easily, have cold hands and feet, experience tightness in the neck and shoulders or notice twitches in small muscles (the eyelid, for example)) I knew that I still did not have enough magnesium in me. 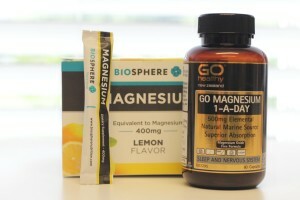 So I have started taking another dose of magnesium in the morning- The Go Healthy Magnesium. This was on the advise of my nutritionist- if in doubt go slow and consult your wellness professional. I have noticed a massive improvement in sleep with the higher dose of magnesium. Then my oils. How I love them. The smell means sleep to me and is a sign for my body to start calming down. I use a potent blend of doTerra Lavender, doTerra Vetiver, doTerra Wild Orange, doTerra Bergamot and doTerra Frankincense in a roller bottle. I use about 5 drops of each and fill the rest of roller up with a carrier oil. I use this on the soles of my feet, my big toes, my pillow, my spine- anywhere I can reach. This blend is so powerful that I will struggle to fall asleep without it- if I am awake after about half an hour it’s generally because I haven’t used the sleep roller. All these oils have sedative and calming qualities and when combined work incredibly well as a sleep aid. Lastly there is a new sleep aid. This has just arrived and I have used it for a couple of nights. I wake up feeling like I had had a deeper sleep so I think it’s worth including. 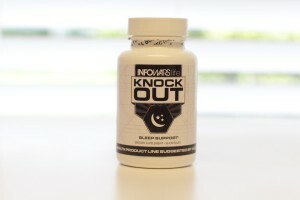 It’s a sleep support supplement called Knock Out and has sleep herbs like Valerian root, Chamomile and Lemon Balm leaf in it. Plus a small dose of melatonin which is a non-addictive sleep aid. Have a better night’s sleep with dōTERRA! dōTERRA essential oils for a new School year!